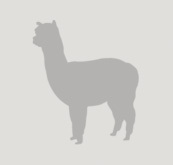 Histogram---a record of the fiber produced by an individual alpaca. Contains data including the micron count, fibers greater than 30%, standard deviation, and coefficient of variation. Micron Count---The average diameter of 66% of a sample, which includes 2,000 measured fibers. In alpacas, average micron count can range from 15-45 microns. In adult alpacas, a micron count of 25 or less is desirable. Standard Deviation---the amount of variation from the average within a single data set. SD is a measure of the uniformity within a fleece. Coefficient of Variation---a measure of the uniformity within a fleece sample, expressed as a percentage and derived by taking the SD and dividing it by the micron count. A CV of 25% or less is desirable. Fibers greater then 30%---those fibers in a sample that have a micron count greater than 30%. The lower the number on the histogram, the better. Handle or Hand---feel or touch-the characteristics that are perceived by touch—softness, firmness, drapeability, fineness, resilience, in other words, tactile qualities. Crimp---an organization or uniform waviness in an individual lock of fiber. Crinkle---the waviness of a single fiber, as opposed to a uniform wave in an entire lock. Staple---a measurement of sheared fiber obtained by measuring the natural fiber without stretching or disturbing the crimp. The staple length indicates the re-growth rates for generations from one shearing to the next. Guard Hair---Hair that is longer, stiffer, and thicker that the rest of the coat, and which protrudes. 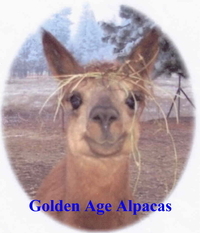 Alpaca guard hair is usually hollow (medullated) and measures approximately 60 microns in diameter. Guard hairs in the blanket are considered undesirable. Brightness---term used to describe the degree to which a Huacaya fleece reflects light. Luster---term used to describe the degree to which a Suri fleece reflects light. Fineness---the diameter of natural fibers measured in microns. In Incan times, alpaca fiber was used to make clothes for the royalty and was known as "The Fiber of the Gods". It is as soft as cashmere, yet lighter in weight, stronger, and warmer than wool. Alpaca fiber comes in 22 natural colors. Alpaca fiber contains no lanolin. Alpaca fiber is naturally fire retardant. It is in demand from hand spinners, knitters, and fiber artists for both the raw fleece and yarns.